An absolutely stunning deep green tourmaline set in a one-of-a-kind statement ring. 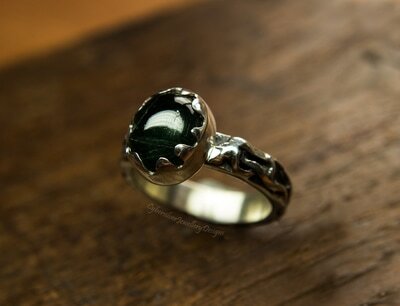 I've created this ring using the silversmithing technique of fusing - an amazing technique where you can never predict the outcome but it can create amazing organic shapes. 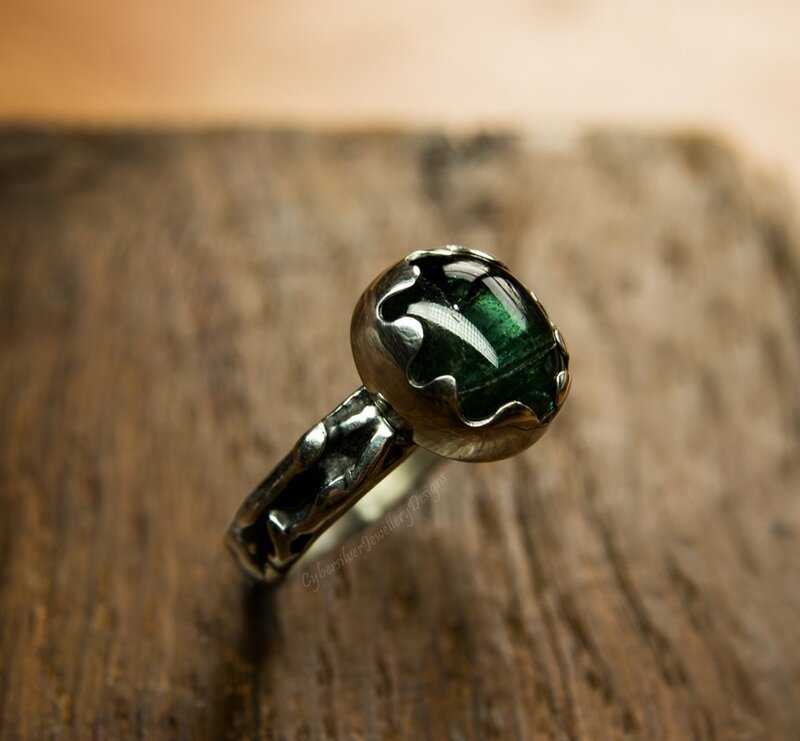 This ring has a lovely organic, natural feel to it which is complimented by the perfectly deep green natural tourmaline and the organic styled setting. 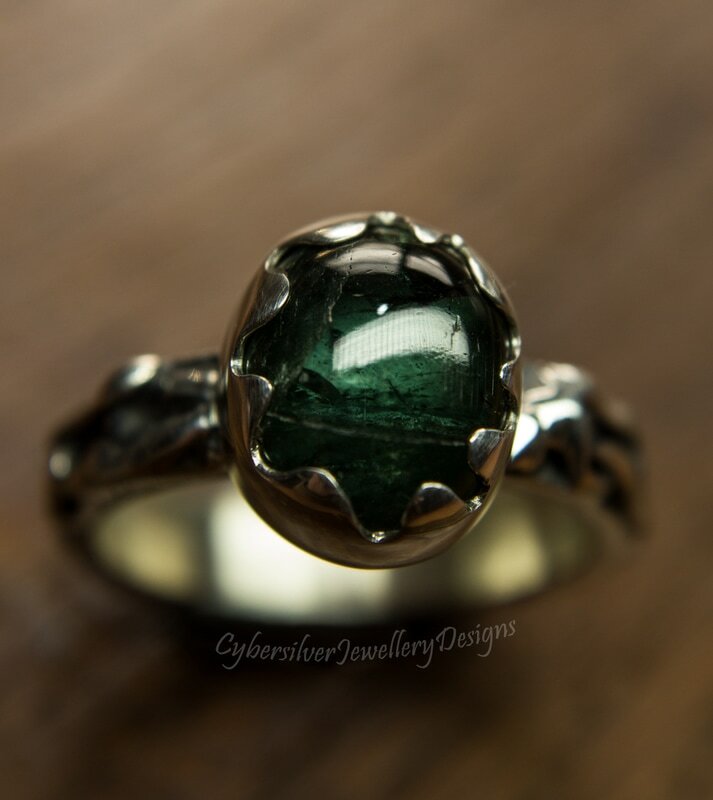 ​The depth of colour in this stone is fantastic and I love the inclusions and shades of colour which make this such a unique stone. The silver has been oxidised, polished and then finished with a layer of protective microcrystalline wax to help protect the oxidised surface. Oxidisation is a surface treatment which can continue to lighten with wear. 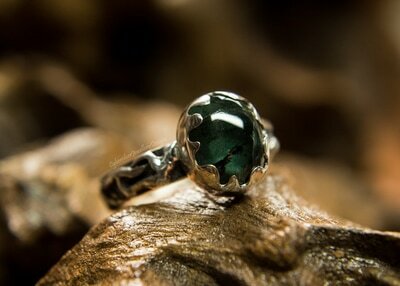 ​Delivery - To ensure you receive your ring safely and securely, I post Special Delivery. Photographs are as accurate as possible, but as monitors vary, please be aware that colours may be slightly different in the 'flesh'.